I came to accept during my freshman year that many of the gaps in my knowledge and understanding were simply limits of class and cultural background, not lack of aptitude or application as I’d feared. That acceptance, though, didn’t make me feel less self-conscious and unschooled in the company of classmates who’d had the benefit of much more worldly experience. Until I arrived…I had no idea how circumscribed my life had been, confined to a community that was essentially a village in the shadow of a great metropolis….I was enough of a realist not to fret about having missed summer camp, or travel abroad, or a casual familiarity with the language of wealth.…The agenda for self-cultivation that had been set for my classmates by their teachers and parents was something I’d have to develop for myself. That was at Princeton in 1972, as Sonia Sotomayor depicted her student self in her memoir, My Beloved World. Develop herself she clearly did: she is now an associate justice of the U.S. Supreme Court. Four decades later, at Princeton or almost any other elite college, Sotomayor’s experience likely would have unfolded similarly. Having diversified their student bodies by race, gender, ethnicity, and nationality since the 1960s, highly selective universities began scrambling to address the one glaring omission that remains. After largely outsourcing the education of low-income and first-generation students to public institutions, they have made stronger efforts during the past decade to enroll academically strong students whose family incomes and K-12 preparation resemble Sotomayor’s—far from the resources available in America’s best suburban systems and prep schools. And most recently, these elite institutions have begun to recognize that gaining admission is only the first challenge many such students face. Although first-generation and low-income status often overlap, not all FLI undergraduates (to use Princeton’s acronym) have come from under-resourced secondary schools. Anthony Jack, a Junior Fellow who will join the Harvard Graduate School of Education faculty, distinguishes those who attended superb magnet schools or won scholarships to, say, Exeter, from those who did not (see “Aiding the ‘Doubly Disadvantaged,’”  September-October 2016, page 11). But beginning undergraduates who attended the weakest public schools, urban and rural—lacking AP courses or calculus, science labs or instruction in writing—may now find even greater disparities than Sotomayor encountered. That is another reflection of widening American socioeconomic inequality in the intervening decades (see “The College Chasm” ). The best evidence that Sotomayor’s anecdotes resonate today comes from Rachel L. Gable, Ed.D. ’16, in her doctoral dissertation, “Pathways to Thriving: First- and Continuing-Generation College Student Experiences at Two Elite Universities.” Forty years after Sotomayor’s affirmative-action cohort, Gable surveyed Harvard and Georgetown sophomores about their academic preparation compared to peers’. First-generation students were more than twice as likely to feel less prepared than continuing-generation students (with college-educated family members). And by their senior year, after encountering higher-level concentration courses and independent work, that gap widened: 57 percent of first-gen students felt less prepared than peers, versus just 20 percent among the continuing-generation cohort. How, then, do colleges that admit such students help them thrive once they arrive on campus—for many, their first trip away from family and home? Some institutions offer late-summer orientations. Others have multiweek academic immersions—accompanied by guidance about university norms such as office hours and seeking academic help, and discussions about being a first-gen or low-income student surrounded by wealthier peers and legacies. Increasingly, such programs precede matriculation and continue through the undergraduate years. This past summer, Harvard Magazine visited such efforts at Yale, Georgetown, and Princeton. The following account reflects reporting in the period between Harvard’s decision last winter not to initiate such a program (see harvardmag.com/firstgen-17 ) and College dean Rakesh Khurana’s August note to upperclassmen  disclosing a 2018 pilot pre-orientation program aimed at “building community and fostering a sense of belonging among students from historically marginalized communities.” A September Harvard summit on “academic inclusion” in higher education, reported at harvardmag.com/inclusion-17 , also addressed these issues. Sophomore Hannah Nikole Almonte, born in the Philippines and raised in California, came to New Haven already confident about her reading and writing. For her, the workshops and “dean’s time” (conversations about issues the students would encounter and resources available to them) were the central FSY experience: learning to “deal with people from a different socioeconomic background” and “how to have conversations in suites” as a freshman. This past summer, she served as a tutor for ONEXYS, the online quantitative-reasoning course Yale has added to FSY—effectively doubling students’ class load, but a useful preview of the academic multitasking to come. These stories align with two Yale College aims that converged in FSY. More than a decade ago, according to Burgwell Howard, senior associate dean and associate vice president of student life, planning began for two new residences and a 15 percent expansion in undergraduate enrollment—including more students who “have the intellectual acumen” but lack the preparation that comes with attending “Andover or Dalton.” Conversations with undergraduates and alumni from first-gen and low-income backgrounds identified two focal points for such students’ success: familiarization with college life to minimize “culture shock,” and classes to bridge the academic gap between their high-school and college courses. Jeremiah Quinlan, dean of undergraduate admissions, described the transition to college as a challenge for every student, all of whom therefore undergo orientation. A subset of 160 or so students take ONEXYS off-campus, to prepare for quantitative courses, and atop the pyramid is FSY, which enrolls 60. President Peter Salovey and Quinlan, who both took office in 2013, have directed a shift in Yale’s “standard demographics,” increasing the share of matriculants eligible for Pell grants by about five percentage points. “We cannot make these changes without supporting the students once they get here,” Quinlan continued. Once applicants are accepted, he and his staff review “the highest [financial] need students who went to high schools with lesser course offerings” to determine whom to invite to FSY. Most do attend, Howard said, and acquire “some social currency.” The trip to campus is less intimidating than if it immediately preceded matriculation. And FSY students, who have learned their way around campus, can then tell fellow freshmen to “follow me”—an advantage formerly confined to legacies. And, “They have a group.” Howard cited the Posse Foundation’s model of sending students to college together (see “Widening the College Pipeline,”  July-August, page 63). As the students themselves suggested, FSY seems to have been productive. Michael Fitzpatrick, Yale Summer Session’s associate director for academic affairs (and himself a low-income, first-gen student at Cornell), described two gains. First, students from under-resourced high schools are “probably less likely to ask for help.” (As Rachel Gable puts it, they need to know that in college—reversing their prior experience—studying with others and “seeking assistance is a habit of excellence, not a sign of weakness.”) FSY workshops, briefings with faculty members who describe their own experiences and invite students to office hours, and the classes themselves are structured to convey those messages. Second, the experience is designed to overcome “imposter syndrome”—the hoary admissions-mistake trope that looms larger for students whose material circumstances and preparation can suddenly seem so below the norm. Quinlan visits the FSY cohort to assure them, humorously, “The admissions office doesn’t make mistakes.” Students confirm gains in confidence on both counts. Academically, FSY is both nascent and evolving. Prior results from ONEXYS showed statistically significant gains in learning, and subsequent gains in students’ grades, according to James Rolf, the mathematics instructor who developed it—hence its adoption by FSY (other colleges are considering using it, too). Further studies will monitor that effect, and determine whether taking the course correlates with students’ concentration choice. Quinlan said freshman-year data show that FSY students do better in writing and quantitative courses than peers who did not have the summer experience, and in their grades overall. There may also be unquantifiable effects. José López, for example, admitted regrets about becoming a chemistry concentrator, despite feeling comfortable in the field. Recognizing that he was “among the very few male Latinos in the sciences,” he’d felt pressure to proceed, sacrificing his passions for music and education. (Gable’s research revealed that first-gen students had greater difficulty choosing an academic field—for diverse reasons, like López’s.) Yet his continuing engagement with FSY and with friends from the program has helped put his choice into perspective and encouraged him to redirect it. He has added education courses to his studies, to prepare for work in schools—perhaps in his home community. If Yale is newly committed to supporting undergraduates from under-resourced high schools, Georgetown established the playbook. In 1968, amid the country’s convulsive urban traumas, it launched an effort to enroll and support underrepresented students—the forerunner of its Community Scholars Program  (CSP), a summer academic immersion, like FSY, for 75 students. A Georgetown Scholars Program  (GSP), launched in 2005 (a response to the Harvard Financial Aid Initiative and other well-endowed schools’ aid enrichments), increased grants and reduced loans for targeted low-income students. It encompasses the CSPers and more than 150 undergraduates per class, and has transformed from extended financial aid to a four-year system of fostering first-gen and low-income students’ school engagement, leadership training, and other elements of success in college and beyond. They are supported by a five-person staff and alumni have responded with enthusiasm to a $25-million fundraising campaign, for aid and the program itself. In addition, GSP students now organize a five-day pre-orientation Preparing to Excel Program  (PEP), aimed at entering low-income and first-gen Hoyas (the template Harvard College now seems to be considering). Achieving such an environment is not serendipitous. In a faculty meeting after that morning class, led by Bishundat, the teachers discussed reordering the readings to better promote students’ writing gains. One happily reported that students had begun coming to office hours, another that the “crestfallen” response to a low grade on a paper had been succeeded by acceptance (“The standards are the standards at Georgetown,” as a student put it) and moving on. In general, as Matt Pavesich put it, CSP students are “less polished” than other entering students, but they exhibit “greater willingness to take risks as writers” and learners—a trait the whole faculty team seconded. Outside the classroom, academic support extends to organized study groups, seminars, and workshops on resources on and off campus (internships, research opportunities, and study abroad). CSP upperclassmen serve as mentors: some are residential advisers during the summer, like their FSY counterparts at Yale. School-year attendance at advising sessions and academic workshops is mandated. Omaris Caceres, a sophomore from Clearwater, Florida, described the requirements as direction on acquiring “tools that really help me succeed”: study skills, test-taking, going to office hours, networking, and budgeting. Academic progress is paramount, but the confidence necessary to achieve it stems as well from an encompassing suite of co-curricular activities, most shaped by the students themselves. The myriad current programs range from email outreach from the program staff and socializing to student-led GSProud events that embrace an identity as lower-socioeconomic-status members of a campus where much greater affluence prevails. Meanwhile John Wright, assistant director of the counseling and psychiatric service, is available to consult directly with students, waiving wait times for appointments, meeting confidentially outside the counseling center, and serving as a “community psychologist” to discuss immediate issues or unaddressed family traumas that may hinder academic success. During the summer CSP program, he introduces these ideas in chats about “thriving in your first year.” His school-year workshops address adjusting to a new community, returning home for the holidays, and coping with pre-exam and other stress. Given students’ limited prior access to such resources, or reluctance to use them (“We don’t talk about mental health in our communities,” one student said), Wright’s work is a core investment in what one dean called Georgetown’s “wraparound” care for them. That commitment has spread. A provostial query turned up hundreds of faculty and staff members who were first-generation college-goers and allies. In late September, the day after a formal “induction ceremony” for first-gen students, the faculty and staff supporters donned T-shirts identifying themselves—making the first-gen campus community even more visible. Such measures “empower students to see that roadblocks are not deficiencies,” as Foy put it. Students reported that Georgetown’s resources were their first, or only, channels for such guidance; they affectionately described Foy, Bishundat, and others in parental terms, and their student peers as family. Sophomore Hashwinder Singh, from Tacoma, putting his fingers together, said “My family and I were like this. I didn’t have anyone but my family.” Despite confidence in his academic skills, “I was so scared to come to Georgetown”—so the CSP community was a lifeline. Together, since 2015, drawing on their common experiences through their Ph.D. degrees and as Princeton writing teachers, Gonzalez and Barton have scaffolded opportunities that help all first-gen and low-income undergraduates adapt to their new surroundings, take responsibility for their education, train for leadership, and make the most of the university’s resources. Alongside coursework, FSI has seeded extracurricular learning: students receive “Bingo Plus” cards on which they must check off attending sessions about the undergraduate research office, nutrition and wellness counseling, fellowships advising, the writing center, and many other resources. Once back to business, Raffety guided students toward their reading of diverse critics’ approaches to Morrison’s novel. Watch what “scholarly moves” they make, she counseled—drawing on the text, or using outside sources—so they could plan their own work as incipient Princeton scholars. In “Foundations of Engineering,” Claire Gmachl, Higgins professor of electrical engineering, oversaw FSIers diligently designing and building bottle rockets. She, too, had an ulterior motive for teaching the course, for the third consecutive summer: to find ways to accelerate the progress of first-year students lacking AP math and physics into actual engineering. “I love teaching it,” she said, “because they’re not jaded yet, they’re so eager to learn.” (The students remain visibly young at heart: one had inscribed on the rocket fins, “To Infinity and Beyond”; another, in Tiger orange, “ ’21”—the planned graduation year.) Perhaps united by their first-gen and low-income identities, groups of students who had completed their apparatus prepared for a test together—calling out variables, leafing through a text, progressing through a tricky formula—with none of the ethnic self-segregation that sometimes arises in other campus settings. There is early evidence that all this careful work pays off. Gonzalez cited a post-FSI survey indicating a 26-percentage-point gain in students’ confidence in asking questions in class, a 34-point gain in talking to a professor, and more than doubling in confidence in their ability to write course papers. Overall, students reported a 31-percentage-point gain in confidence in their ability to have an academically successful freshman year. Plenty of upperclass peers reinforce that growing optimism. As at Yale and Georgetown, they serve as residential advisers during the summer. At Princeton, they may also be summer “course fellows,” running sections and mentoring students. Those fellows are not only “approachable near-peers,” as Keith Shaw, director of transfer programs, put it, but also trained educators: FSI alumni and others who choose to become “institute fellows” through the SIPF program benefit from regular, structured instruction in classroom teaching and pedagogical strategy within the McGraw Center. Their presence gives the FSI students immediate access to a multiyear cohort of Princeton undergraduates, many with backgrounds similar to their own, enabling informal connections and conversations. The fellows also conduct academic-year workshops for students, coordinated by Barton, on myriad aspects of that “hidden curriculum” on campus (how to apply for fellowships, participate in a section, write a research proposal, and master the intangibles, like speaking “prof-o-saurus” during casual conversation or office hours) and beyond (how to network, prepare a résumé, and manage finances). Volunteer faculty members help them substantively, and often participate in the sessions. Barton has outlined a four-year sequence of experiences that help students choose concentrations, prepare for thesis research, and identify and pursue postgraduate plans. The fellows gain confidence and leadership skills that have increasingly propelled them, Gonzalez reports, to positions of leadership across campus—an outcome strongly supported by her peers at Georgetown and Yale. What might students learn from this welter of experiences? According to senior Jessica Reed, “You are forced to learn to ask for help, and you are forced to collaborate”—lessons about learning that might well apply to undergraduates everywhere. How might Harvard and other colleges best address the needs of the students they are admitting from under-resourced high schools and families constrained in means? Is a five-day pre-orientation meaningful? Do certain students need a multiweek bridge program? Are there needs extending throughout the undergraduate years? 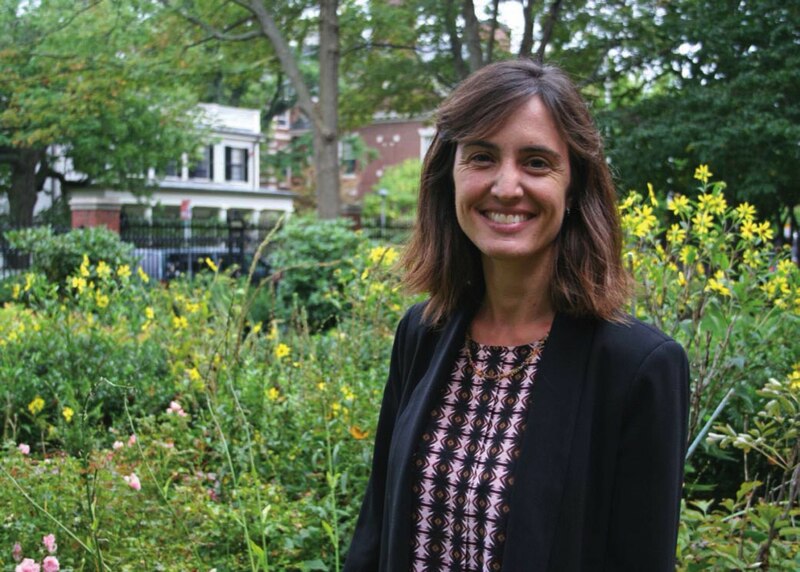 Rachel Gable, now at Virginia Commonwealth University’s global education office, said her research in Cambridge and Washington, D.C., persuaded her that different institutions could pursue distinct approaches suited to their cultures. Georgetown’s centralized programming reflects both its Jesuit tradition of service and what she called a “multicultural” theme, extending back a half-century: a recognition that groups of people differ, and are best served by devising programs tailored to their needs. Harvard has what she called a “liberal” approach, in the classical meaning of the word: each individual is to be treated as an individual. Thus, its preference for what she termed “capillary” programs and resources, such as enhanced peer advising and training for academic advisers who are available to all students, in the expectation that each will benefit in personally suitable ways. Evangelists for substantial, centralized programs—Foy at Georgetown, Princeton’s Gonzalez—argue that their efforts focused on cohorts of first-generation and low-income students will, over time, spread across their communities, changing their cultures. Whether the programs are “capillary” or narrower in focus, faculty members agree that virtually all students today could benefit from efforts to highlight the co-curricular and soft skills that contribute to every student’s academic performance, and impel improvements in teaching. To the extent that these initiatives derive from admitting more economically diverse students and assuring that they can thrive once on campus, they of course promote more inclusive interactions among undergraduates whose life circumstances vary more widely than ever before. So far, no campus appears the worse for trying.